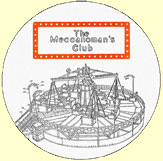 The Meccanoman’s Club was founded by G. Maurice Morris in 1965, and in 10 years it produced over 100 different Meccano publications including The Meccanoman's Journal (MJ) and GMM Modern Supermodels, many of which, like Liverpool Supermodels, became iconic Meccano classics. The MJ was the first "adult" Meccano serial publication covering a wealth of material, nearly all being directly Meccano related - the usage of individual Meccano parts, model illustrations and descriptions, innovative suggestions for model builders, historic articles and more. The early issues included a "Model of the Moment" series where moderately complex models were described. The GMM Supermodel series was the precursor to the current Model Plans with a wide range of models large and small with something for everyone - clocks, locomotives, cranes, fairground rides and many more, the models tending towards the advanced end of the scale. The written instructions included a parts list and numerous illustrations. Now, all 41 issues of the MJ and 56 GMM Supermodel booklets are available on CD, with printable quality scanned images of every page of each issue. The MJ is electronically indexed by Cover, Month and Chronology; GMM Supermodels by Number and Title. In addition, combined indexes - Subject, Keyword and Author - allow easy searching of all publications. The GMM Special Publications 'An introduction to Meccano Clocks', 'Meccano and Mathematics', 'Steam-driven Stiff Leg Derrick', 'Differential Analyser' (complete with photographs and background material) and MJ Binding covers are also included on the CD, as are the supplemental photographs necessary for the construction of the MJ 'Models of the Month' - 101 publications and 2758 scans in all. (GMM Supermodels are also available as printed booklets. See ModelPlans).